International donors are cutting back on AIDS support, hurting the fight against the epidemic across Africa, an international medical aid group said Thursday. Doctors are turning away patients in South Africa. Kenyans fear clinics will run out of money. Health policy makers in Mozambique and Uganda say they can't afford to follow international standards for when treatment should be started. Dr. Eric Goemaere, medical coordinator in South Africa for Medecins Sans Frontieres, or Doctors Without Borders, said donors were citing the global recession as a reason for cutbacks. But he said that was no excuse for backing off on commitments to step up the fight against AIDS. "How can we guarantee a long-term commitment? Because we are talking about a lifetime disease" he said Thursday, the same day the group released the results of its study of AIDS treatment in Congo, Kenya, Lesotho, Malawi, Mozambique, South Africa, Uganda and Zimbabwe, among the countries hardest hit by the epidemic. Jimmy Gideyi, an AIDS activist from Kenya who joined MSF officials at Thursday's news conference in South Africa, said he was too weak to work when he started AIDS drugs six years ago. He quickly gained strength, and the 55-year-old widower was able to raise his three sons delivering food aid and doing other jobs for the United Nations. Now, he said, he worries about the future for his sons, aged 26, 24 and 10. "Suppose one of them contracts HIV," he said. "Will he be able to access quality HIV to treatment? Or will he be left to die?" MSF said the Global Fund to fight AIDS, Tuberculosis and Malaria - a major, independent supporter of AIDS programs around the world - was under pressure from the wealthy governments that fund it to cut back. The fund's budget for the next three years will be determined at meetings in October. Stefan Emblad who coordinates fundraising for the Global Fund, speaking to The Associated Press Thursday from his headquarters in Geneva, said countries were still making "extraordinary efforts" to maintain and even increase AIDS funding. But he added: "I don't want to gloss over the situation." Emblad said even if the Global Fund gets the most it is asking for at the October meetings, the goal of ensuring all those who need AIDS drugs around the world have access to them "will be far off. That's the sad truth of the situation." Margie Hardman, founder of a clinic in an impoverished area of eastern South Africa that cares for some 2,000 AIDS patients, told MSF that U.S.-funded donors have told her to stop enrolling new patients. "We had to turn these patients away and refer them to local government hospitals or clinics," Hardman said. South Africa last year embarked on an ambitious anti-AIDS drive that includes earlier and expanded treatment for those with HIV, the virus that causes AIDS. That was in line with recommendations the U.N. health agency made last year that doctors start HIV patients on drugs when their level of CD4 cells is about 350. This year, the British medical journal The Lancet reported on a study that shows even earlier treatment lessens the chances of those with HIV passing the virus on to their partners. South Africa, a nation of about 50 million, has an estimated 5.7 million people infected with HIV, more than any other country. Expanding treatment here will stretch human and capital resources. When South Africa announced its new AIDS policy, the United States said it was giving an additional $120 million over two years for AIDS treatment drugs in response to a plea from President Jacob Zuma. 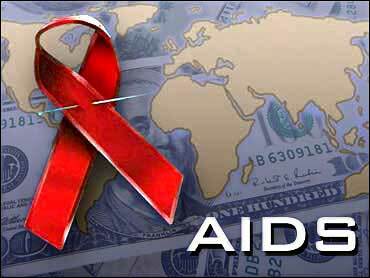 South Africa is the largest recipient of funds from the U.S. President's Emergency Plan for AIDS Relief. The program, known as PEPFAR, is a major funder of AIDS programs around the world. But internationally, MSF said PEPFAR's budget has been flatlined - meaning no decreases, but no increases either at a time of increasing need. Eric Goosby, head of PEPFAR, said in a statement to The Associated Press the budget had increased, but marginally, from $6.8 billion in 2010 to "nearly" $7 billion for 2011. "At the same time, HIV/AIDS is a global responsibility, and the U.S. is actively engaging with other donors around creating a response that is truly global," Goosby said.